Among the summer’s family photos I found this one (authentic, not Instagram) . 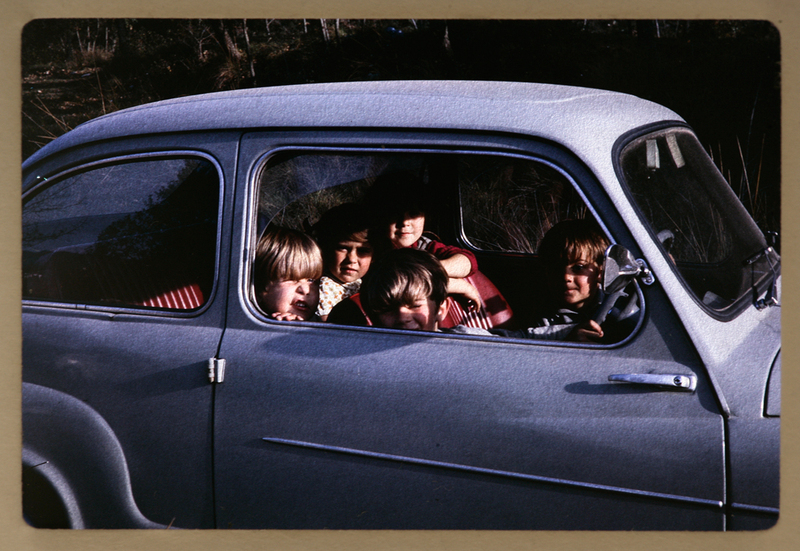 Each summer we used to go on holidays to the coast, all the children piled in the back seat of our family car (the popular spanish Seicento, the equivalent of FIAT 500 nowadays). Here are the three brothers and two cousins​, and still missing four adults (mum & dad and my uncles) and all the luggage and props for the beach you can imagine!